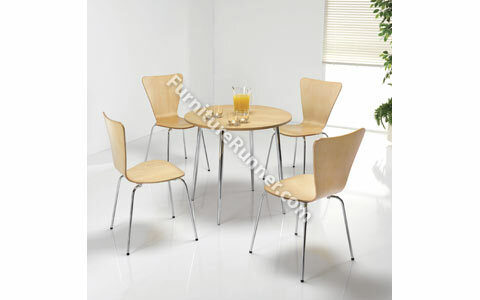 Arista Bistro Chair - Multi purpose stacking chairs in maple ?nish with sturdy chrome frame. Seat dimensions: W440 x D380mm. Back dimensions: W430 x H400mm. Height: 475mm.